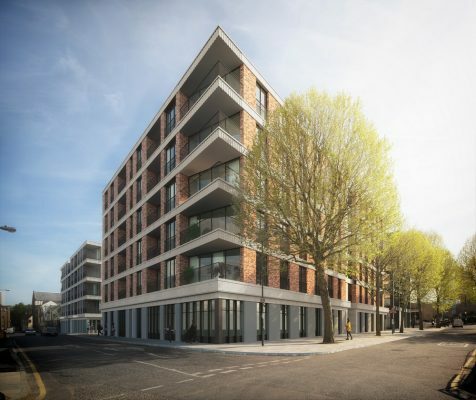 Four new buildings on a site bordered by Dace Road, Monier Road and Smeed Road will provide 110 new homes and 6,300 sq m (GIA) of commercial and light industrial space arranged around a central landscaped courtyard. 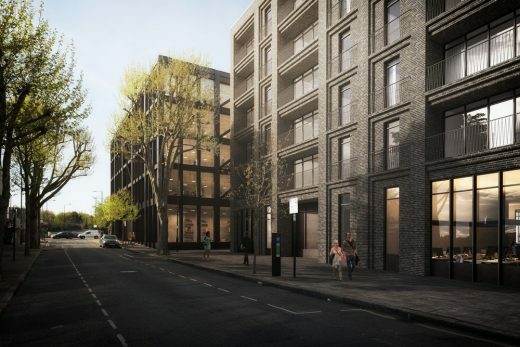 The London Legacy Development Corporation (LLDC) has granted planning consent for a new mixeduse development at Dace Road in Hackney Wick, designed by BuckleyGrayYeoman on behalf of Aitch Group. 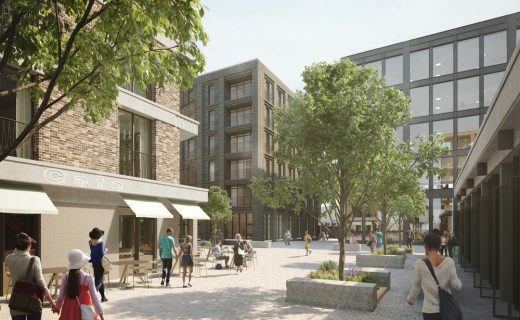 The new development will replace outdated light-industrial sheds with four new mixed-use buildings arranged around a central courtyard, creating new public space and pedestrian routes at the south western gateway to Hackney Wick. The new buildings will be up to 6 storeys in height and contain more commercial floor area than the existing buildings provide, alongside 110 new homes. “Hackney Wick is one of London’s most interesting and evolving neighbourhoods. Much has been made of the fact that it has the highest concentration of artists’ studios in Europe and it is also home to a diverse collection of SME businesses: factories, maker spaces and warehouses, as well as cultural venues like galleries and theatres. The area can rightly claim to be London’s creative workshop and is a hotspot for the entrepreneurial maker culture that many are suggesting provides a model for our future economy. BuckleyGrayYeoman’s design proposes three brick-built residential buildings with commercial uses on the ground floor, inspired by the converted warehouses typical of the area. 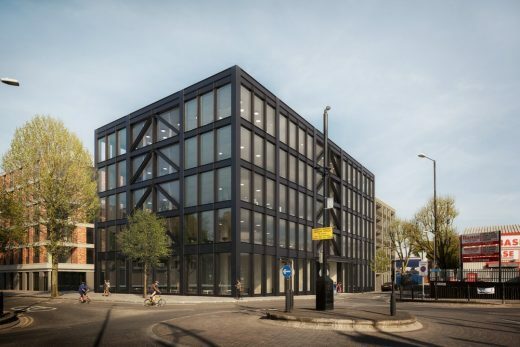 The prominent corner of Dace Road and Monier Road will be marked by a contemporary steel and glass commercial building, making the most of the site’s location at a major south western entrance to Hackney Wick. Of the 110 new homes, there will be a mixture of tenure for social rent. Commercial and light industrial space will provide opportunities for Hackney Wick’s community of Small to Medium Enterprises. The buildings are arranged around a central courtyard with retail units to provide a social hub for the development. 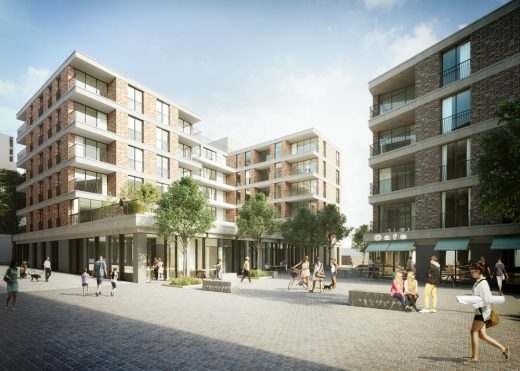 New mature trees will be planted along pedestrian routes cutting between the buildings and leading into the landscaped courtyard, creating a high-quality public realm with places to linger as well as yard space for the commercial premises. Completed projects include Henry Wood House, The Bloomsbury Building and The Black and White Building , major co-working spaces for The Office Group in the West End of London; Channing School in Highgate; the Fred Perry Headquarters in Covent Garden and several boutique stores for the brand in London, Cologne, Munich and Bangkok; C Space, the conversion of a former carpet factory to creative workspace in Shoreditch; Citadines Apart’hotels in London, Paris and Hamburg and Pure Aldgate, a high quality student accommodation building in East London. BuckleyGrayYeoman’s growing reputation for delivering the highest quality of design has been acknowledged by a number of recent awards including: RIBA Award, BCO Award, RICS Award, Evening Standard Award, RIBA Housing Project Award, Architects’ Journal Award, FX Interior Design Award, Retailers’ Retailer of the Year Award and Surface Design award. 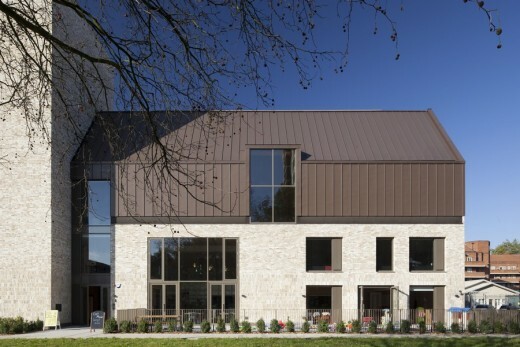 The practice is listed in the AJ120 group of the largest architecture practices in the UK.